The organically farmed estate is located at the foot of Mont Ventoux. The winery follows the lunar calendar and favours traditional manual methods, right through to the final bottling stage, producing elegant and complex red, rosé and white wines. The cellars are open all year round from 9am-1pm and 3-8pm. 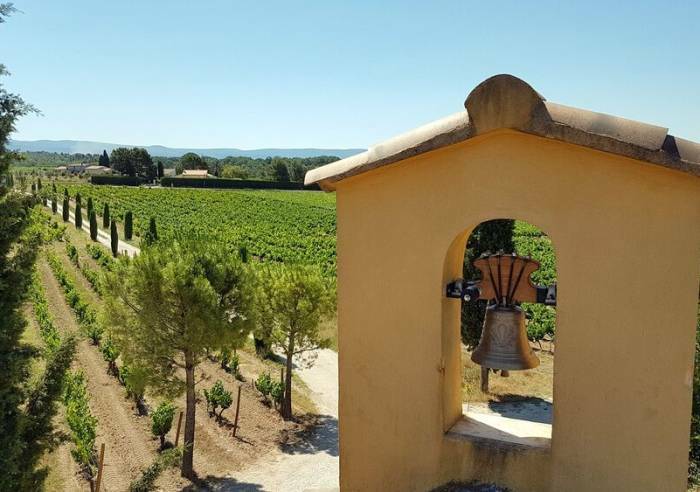 The wine cellar, set amongst the vineyards, boasts a magnificent view of Mont Ventoux. Wine tasting and group tours for up to 40 people maximum. Harvesting days with introduction to vine growing. Take part in the harvest with the estate team: wine tasting, snack bar in vineyards and “winegrowers’ meals.” Exhibitions and painting courses. Themed wine stays: possible bed and breakfast accommodation . Table d’hôtes meals featuring market cuisine and truffles, when in season! Opening hours on Monday, Tuesday, Wednesday, Thursday, Friday and Saturday between 10 AM and 6 PM.